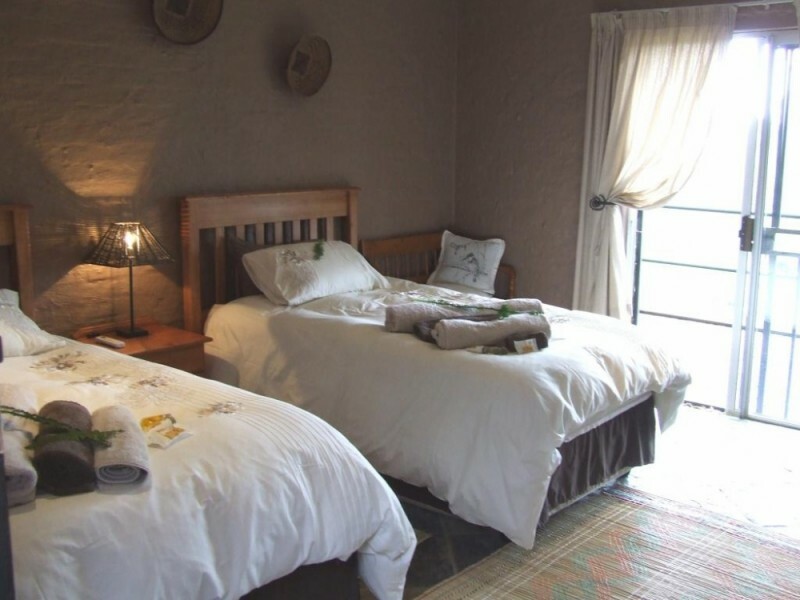 Lukafrica Riverside Chalets & Safaris is based in Limpopo Province en route to the famous Kruger National Park between Tzaneen and Phalaborwa. 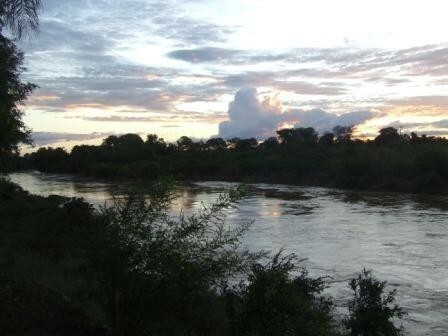 We are situated on the banks of the Great Letaba river. 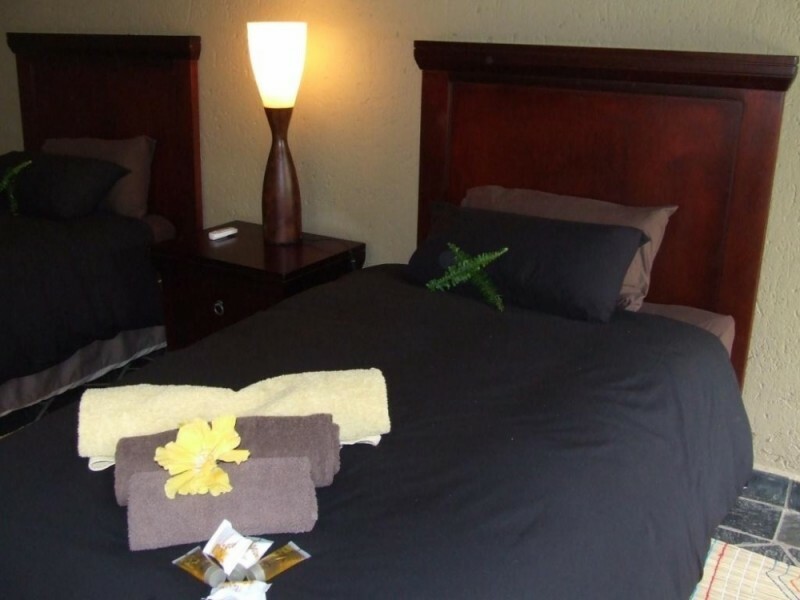 This perfect family destination offers you the ideal opportunity to relax and unwind. Explore this incredible region and all the wonder it has to offer.We are an owner run establishment and pride ourselves on our great hospitality and friendly service. We will ensure guests enjoy an unforgettable and truly South African experience. Facilities include an air conditioned fully licensed bar, pool table, DStv and an adjoining lounge area with DSTV for relaxation. Our restaurant offers scrumptous light lunches and dinners using only the freshest of ingredients.Dinners are by booking only. 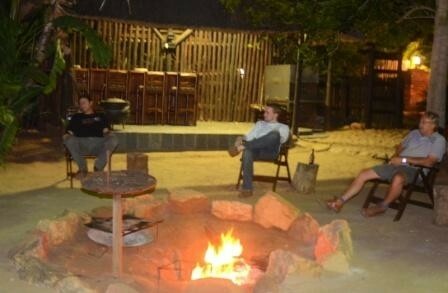 Our rustic outdoor “Hippo Boma” is a great place to enjoy dinner by candle light under the stars.The campfire is where it all happens,braais,spits and potjies are catered for. Our main viewing deck overlooking the Great Letaba river is a favourite amongst our guests and great sightings of hippo, crocodile,vervet monkey and a wide variety of birds can be seen.Listen to the call of the fisheagle whilst a full farmhouse breakfast is served on the deck daily. Special dinners on the deck can be booked. 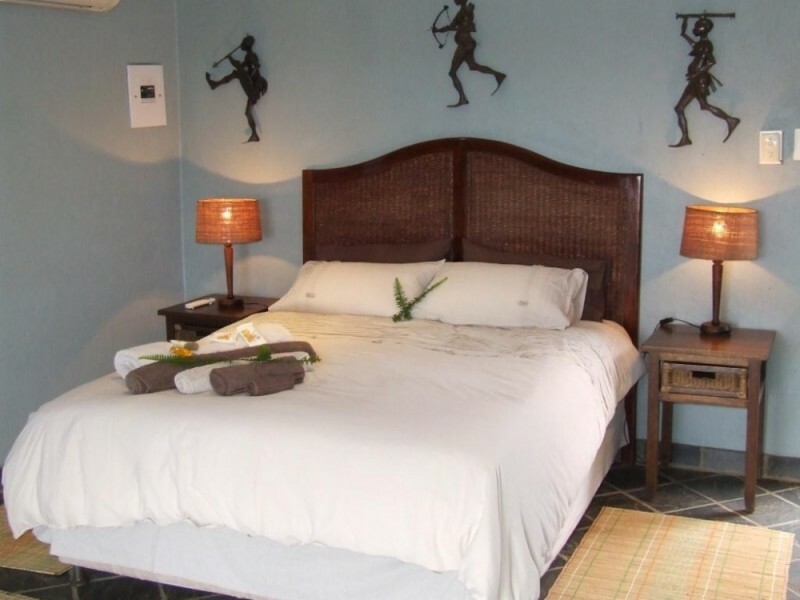 Tranquil comfortable well appointed three river chalets set under large Jackalberry trees overlooking the Great Letaba River and two poolside units set under large Mopani trees with plush gardens and bushveld surrounds. 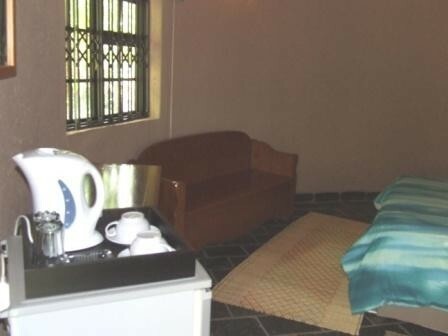 Chalet boast facilities such as air conditioning,ceiling fans,heaters,fridges,modern en-suite showers and toilets.Towels and toiletries supplied,all chaslets have tea/coffee making trays in units.River units have decks with table and chairs.Chalets are serviced daily. Credit card facilities available on site. Secure off street parking is available . On our safari side we offer overnight and day tours to the Kruger Park in our open safari vehicle.Our tours are led by knowledgeable, experienced registered guides with a great sense of adventure,passion and entertainment. We also offer golf tours to three of the amazing golf courses found in our area. Tours to places of great cultural importance and interest as well as to other reserves situated close by are offered. Our safaris emphasis is on small groups max 08 so that participants may enjoy great personal service and attention.Safety is paramount on all our tours. We do transfers on request to and from all the airports situated within easy reach from us in our air conditioned caravelle. In a nutshell a “Truly South African adventure awaits.